A little black dress in my opinion is an essential in any woman's wardrobe. It is a go to piece of clothing that will never let you down in a cricise. There are so many reasons that you just cannot go wrong with this timeless piece of fashion. 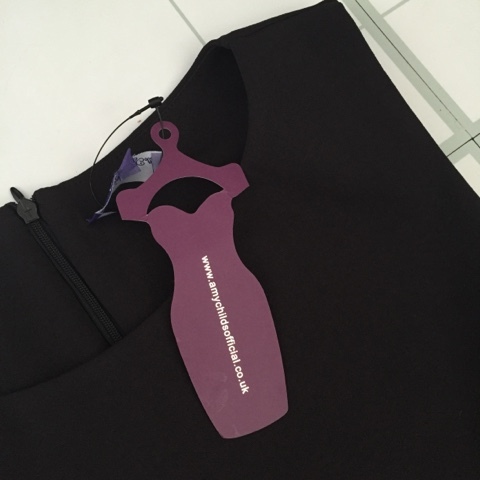 I was recently sent the Leila dress from Amy Child's fabulous range of clothing and while I'm here to show it off I thought I'd share with you some reasons just why you need to have your very own black dress to take pride of place in your closet. 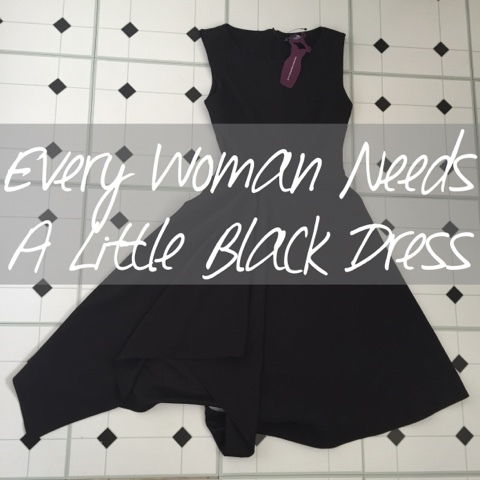 Black is a neutral colour and is something that will never go out of fashion, it remains ideal no matter the season and it will forever remain a statement piece which means you can never be wasting your money when you find the perfect LBD for you. I would say it is somewhat of an investment. 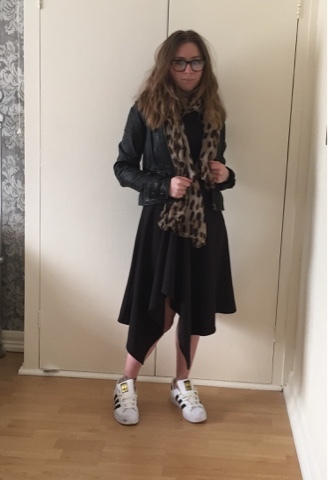 You can style a black dress in so many ways, just by changing the colours you choose to put with and the accessories you opt to match it up with too. I'm sure you are able see from the pictures I've put together just how simple it can be to change your look. I'll apologise for the quality, it was a bit of team work from me as a non model and my 8 year old not photographer! A little black dress can be made to look smart with a flatter shoe and a colourful belt for work. A chunky boot and a simple scarf for a more casual day to day theme. And then of course it can be made to appear more glamorous for a night out on the town with a high heeled pair of sandals and a chunky necklace to make it pop. Being the colour black it becomes suitable for any shape of size body, and it can be the best "concealer", well they say black is slimming so if you want to feel your best then the little black dress could end up being your best friend. I love the dress as it's fitted at the waist but flows over my hips, giving me more of an hour glass shape. Whether you are happier to cover up or perhaps you like to show off a little leg, there is a little black dress out there for you. It's all in the detail. 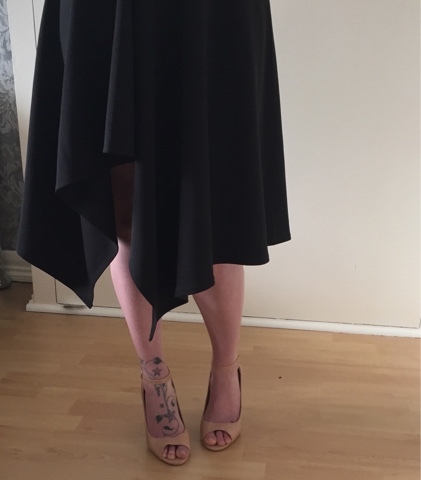 I love the design of this dress as although I have indeed got my legs on show, the dress is long enough to not make me feel self conscious about myself. 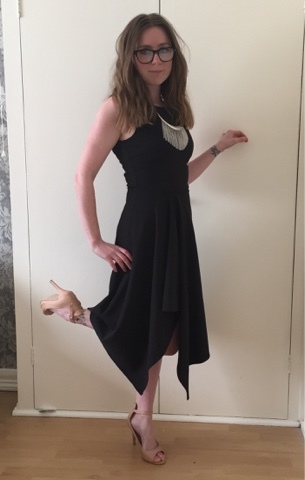 I think maybe the best thing about the little black dress is that you'll never look out of place, whatever the occasion you can be guaranteed to fit in and feel comfortable. Whether you are sat in the office, out on a date or perhaps having a meal for Mother's day perhaps, you can be safe in the knowledge that you look good! 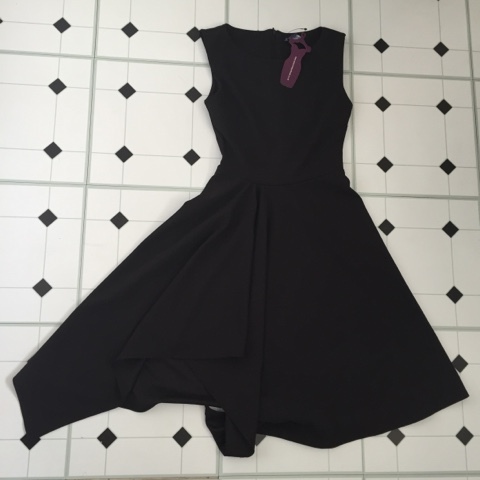 I totally agree, black dress never goes out of season and this one is really lovely. I like the cut. You can wear a black dress to many places even the same dress to different occasions. All you to do is accessorise. It looks lovely on you!! 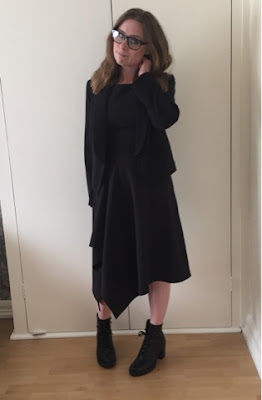 I have a black 50s style dress with a pettitcoat and it's my go to for parties and events! This looks like a really nice dress, and one that would suit me. Being pear shaped I struggle with dresses because to have them big enough for my hips means it's too big on top.